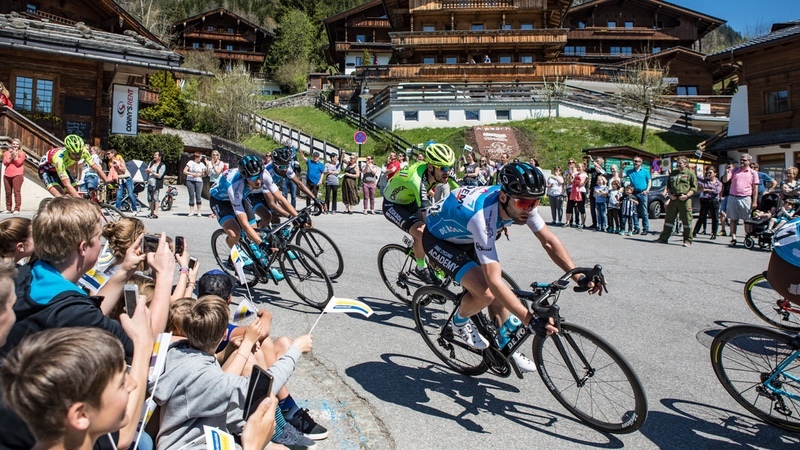 The organising team behind this year’s UCI Road World Championships, taking place in Austria’s cycling heartland of Innsbruck-Tirol on September 22-30, have shared their top tips for visitors making the trip. The 10 tips are aimed at helping fans making their final travel plans, working out the best places to watch the racing and planning their evenings between the races. Getting to Innsbruck-Tirol couldn’t be easier, whether by car, coach, train or plane, the options are fast, easy and comfortable and all the information is in one place. Fans wishing to have that home-from-home feeling can find the ideal pitch for their tent, mobile home, caravan or camper online. Key to enjoying the best possible UCI Road World Championships experience is avoiding heavy traffic or road closures. Use public transport if possible! Trains won’t get stuck in traffic and not only Innsbruck; but also all start locations do have a train station. Travel within Tirol on public transport is free for UCI Road World Championships ticket-holders. Travel is simple between start locations and the finish areas, or to one of the three fan zones along the Olympic Circuit (open from 27 to 30 September), which will feature in all the road races. Ticket information can be found online. The best place to watch the conclusion of the races is the finish area in front of the Hofburg Imperial Palace in the heart of Innsbruck. Each of the four start locations will host its own special activities on each race day, along with free access to local attractions and big screens for fans to follow the action. Visitors with finish-area tickets will be able to get up-close to the winners and watch each new UCI World Champion receive their coveted UCI Rainbow Jersey. Included in the finish-area tickets is entry to music events to suit every taste, such as performances by German act Culcha Candela, Austrian band Seiler and Spear and rock legend Bonnie Tyler, who will be performing at Kufstein Fortress on 28 September (not included in the finish-area tickets). Every starting region is hosting additional family-friendly events: from Kufstein’s tech expo; the AREA 47 outdoor adventure centre near the entrance to the Ötztal Valley (the startplace of the UCI Men’s and Women’s Team Time Trials); to balloon and crystal workshops at Swarovski Crystal Worlds in the Hall-Wattens Region (host to some of the Individual Time Trial events) and a children’s party with biking and skating, at Rattenberg (where the Individual Time Trial Men Elite and the Road Race Men Junior will take place). The official language of Innsbruck-Tirol is German, but most people speak English and some Italian, and from 22 to 30 September, everyone will speak ‘cycling’. To describe the variety of cuisines available would take too long for this list but – whether you are looking for traditional, modern, fusion, street, convenience or formal dining – there is something for all tastes and budgets.